A Ridge View Elementary School Student was found unresponsive on his bus this morning shortly before 8am. When the bus arrived at Ridge View and students began unloading, the student, age 6, wasn’t moving. 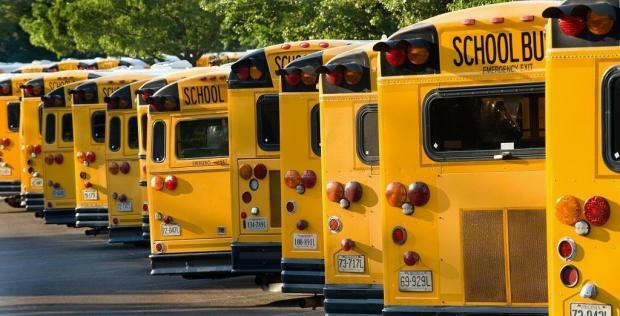 According to reports by the Rockwood Fire Department, the child had fallen asleep sometime on the bus and fell from his seat and struck his head. Rockwood Fire First Responders had to carry the student off the bus, and administered first aid. The boy did regain consciousness and was alert and talking to his mother. The boy was transported by ambulance to Children’s Hospital at the request of the mother. His condition at this time unknown. A report is being filed by the school resource officer but at this time, there is no known cause of why the boy fell out of his seat. More information when it becomes available. Why is there not seatbelts on the buses? I’ve always heard they are a safety hazard and the cost to outfit all buses would be too much for the state/and or local governments. Plus it would limit the number of spaces available for kids.